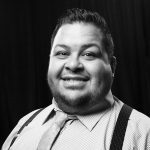 Francisco Rendon, performer and educator graduated from Texas Tech University in 2011 with his Bachelor’s Degree in Music Performance. Mr. Rendon has taught K-12 Music for over 6 years primarily in the Dallas and Lubbock areas. He taught private voice and group musical instruction in the Garland Independent School District at Garland, Naaman Forrest, and Sachse High Schools. Upon moving to Lubbock, Francisco has worked with surrounding middle school and high schools such as Lubbock HS, Frenship HS and Hutchison Middle School. In 2012, Francisco music directed the off Broadway musical Next to Normal with Hub Theatre Group. Mr. Frank worked as the Music Director and Voice Instructor for HUB Performing Arts school for six years, and has music directed many of the MTI Jr. Theatre line of musicals which include Little Mermaid Jr., Dear Edwina, and Seussical Jr. In the summer of 2016, Francisco made his theatrical directing debut with Moonlight Musicals in their summer production of Seussical the Musical, followed by directing their 2017 production of The Adventures of Tom Sawyer!